Virginia Sorensen Nielsen passed away peacefully in her home on November 28, 2015 at the age of 91. She was born November 23, 1924 in Murray, Utah to Ulrich Andrew and Fannie Boam Sorensen. She dedicated her life to her husband Neal and 4 boys, Jordan (Marsha), Tim (Barbara), Paul (Deborah), and Todd (Kathy). 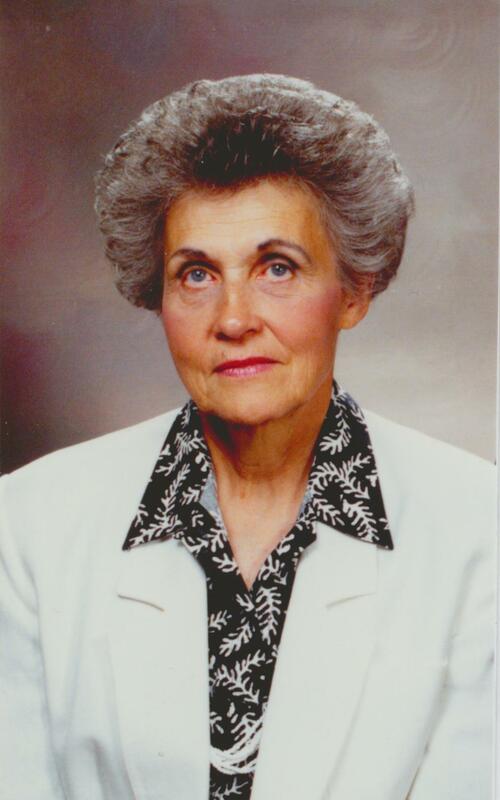 She taught school for 18 years in the Tempe Elementary School District and led a life of service for the LDS Church, including 2 missions with Neal in London South and Temple Square. Her husband C.W. “Neal” Nielsen, her brother Lincoln Sorensen and her sister Mary McInnes preceded her in death. She is survived by brothers Lynn Sorensen and Richard Sorensen (Salt Lake City), 19 grandchildren, and 26 great-grandchildren. Funeral services to be held Wednesday, December 2, 2015 at 11 AM, with visitation at 10AM, at the Mesa Central Stake Center, 925 N. Harris, Mesa, AZ. Interment in Salt Lake City, UT. In lieu of flowers, please consider a donation to the LDS Missionary or Perpetual Education Fund, www.ldsphilanthropies.org. Arrangements by Bunker’s Garden Chapel.